Replacing steering and suspension components may alter existing wheel angles, for this we recommend a wheel alignment with this service. Our steering and suspension services (with the exception of drive-train mechanisms) are guaranteed by Klahanie Service Center for 12 months or 12K miles (whichever comes first), for standard parts and labor. 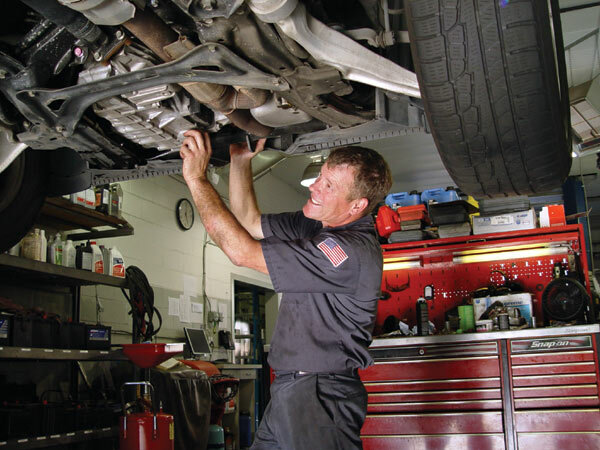 Why do I need my steering and suspension parts serviced? The suspension and steering in your vehicle is accountable to provide maximum riding comfort and optimal handling. Normal road conditions can wear out the struts, shocks and springs in your suspension system, which will weaken over time and limit your vehicle’s safety, stability tire wear and driver handling. When should I have my steering and suspension checked?